Haven't seen it. I don't think anyone will ever film a movie capturing the essence of R. E. Howard's writing. It was like an essay on dysgenics theory written by Manowar. You can't get much further from modern western cinema than that. on Amazon, actually. It's region non-specific, but played well in my PS3. As far as a movie goes, it has some semi-interesting sword bits. I thought the selection of weapons and styling was fairly well done, but a bit too much dual wielding and special effects sorcery to appeal to those who seek any kind of historic relevance. I did sit through the whole thing, though. I liked the casting of the main characters. I also noticed the walloon, just after Pete Postlethwaite's character dies (sorry for the spoiler), and it's now made me want to get one! It wasn't featured very much or often, unfortunately, with Solomon favouring rapier/ side-sword and main gauche over anything else, which is a shame. I watched year ago,and i,as you Karl,like his weapons,while the story,was not that good.I like Purefoy,the lead actor,that was really good in Marc Antony,in Rome,bbc television movie of some years back. Now,you all should try THE BORGIAS. interested. Or if nobody is, pass it back to me. I just watched the movie and liked it. I did feel it could have been a Solomon Kane story. I got the DVD from Matthew and can forward it onto whomever else who wants to watch it. If I do not hear from some one in a few days I will return it to Matthew. I watched and enjoyed it, but I agree that the story is much more of a REH pastiche than an actual REH piece would be. Actually, it felt more like a Warahmmer Fantasy Novel, maybe not top shelf like Dan Abnett, but one of their second stringers. Yeah, I got a definite Gotrek and Felix vibe from it. It's not a bad movie, it just doesn't have much anything to do with its alleged source material. I was especially annoyed how they felt it necessary to give him a freaking origin story to explain his heroism, as if he was some kind of reluctant antihero forcibly thrust into a life of adventure against his own will. 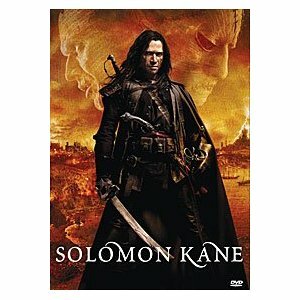 Seriously, guys, Solomon Kane goes around the world fighting evil solely because he really, really wants to - that's what's so cool about him! "All his life he had roamed about the world aiding the weak and fighting oppression, he neither knew nor questioned why. That was his obsession, his driving force of life. Cruelty and tyranny to the weak sent a red blaze of fury, fierce and lasting, through his soul. When the full flame of his hatred was wakened and loosed, there was no rest for him until his vengeance had been fulfilled to the uttermost. If he thought of it at all, he considered himself a fulfiller of God's judgment, a vessel of wrath to be emptied upon the souls of the unrighteous." I'd like to see it, and will happily pass it along to anyone else interested. If it's a region 1 I'll jump in line right behind Hal. I liked it. I think it's more based on the comic version than the books though. Matt C, let me know your address via pm or email, and the fun shall continue. Well, that was ... um ... interesting. Very heavy-handed on the cgi, would have liked to have seen more of the Czech Republic locations and less of the results of special effects computers. Anyway, the dvd went onwards to Matt C this morning. Big thanks to Matt K.!